What is Unique About Our Laser? 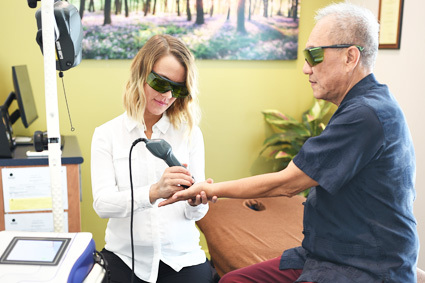 At Stott Chiropractic, we use Multiwave Locked System Laser Therapy, or MLS Laser Therapy, that uses a patented laser design and delivery system. This is a class IV laser and its use is approved by Queensland Radiology Health Department. We are one of only a few clinics that use this laser in the Brisbane region. Our laser is produced in Italy and is commonly used in their hospitals to support healing of post trauma and post-surgical patients. Contact us on (07) 3279 5252 to book your treatment!